“Mr. Jones” elicits about as many interpretations as there are pieces of popcorn in a party-size bag. 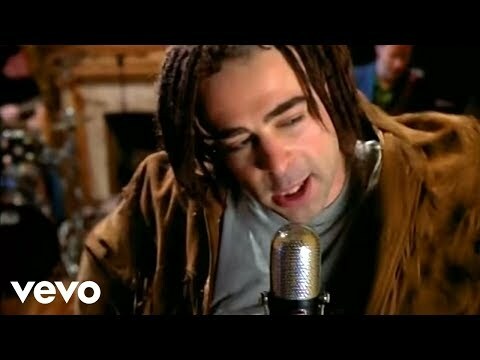 That speaks to the plaintive appeal of Adam Duritz’s voice, the driving rhythm and bending lead guitars side by side in a layout that gently skirts the formulaic and ends up squarely in the “most-soulful” category. Let’s spill a few pieces out and snack on them. The song was written when the Crows were on the cusp of stardom but still largely unknown. On the surface, the lamentation in “Mr. Jones” revolves around trying to pick up a pretty girl in a bar while still a citizen of Nobodyland, but it also peers disconcertingly into the future ironically, wistfully. 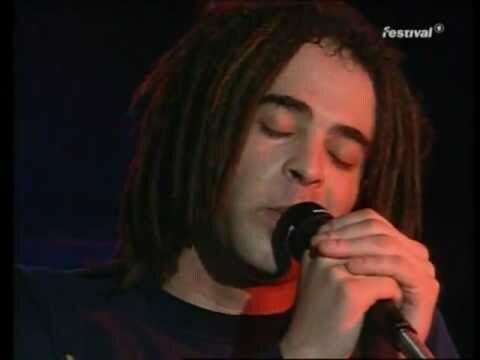 Lyrically, Mr. Jones can be interpreted as Duritz’s alter ego, or as being a sketch of Marty Jones, bass player of a forerunner band of Counting Crows. The music is a curious, captivating concoction of high-gloss C&W, the country music of Van Morrison (“Wild Night” from Tupelo Honey) and “I'll Feel A Whole Lot Better” by The Byrds; as well as the psychedelia of “I Had Too Much To Dream Last Night” by The Electric Prunes and the Swamp Rock of “Refugee” by Tom Petty. Indeed, Duritz’s vocal style owes much to Petty. 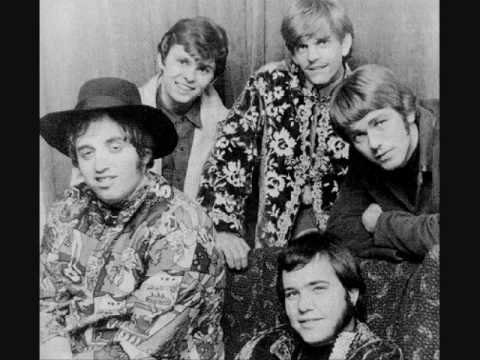 The electric Prunes' "Too Much To Dream"
I want to be someone who believes The verse above is where the heartache begins. The song is not just about chasing girls, it’s about the chasing of dreams and visions. The ringing admission of believing in nothing is what keeps the singer/writer from reaching out to “the girl,” who is but a symbol of something better, purer, brighter. It is – on an entirely different plane – about “Maria,” a woman arisen out of a song that the flamenco player performs. It is about the blonde. It is about the magic of music. It is about being lost at sea, wanting to come ashore so badly as your teeth chatter and your side cramps up. Ah, no, no, she's looking at me"
In back of the lead vocal, who should show up again but those damned Beatles doing the la-la-la’s in the timeless style. But there is also a series of SHA-la-la’s that pay homage to early Manfred Mann (who had a song called “Sha-La-La) and to Bruce Springsteen’s sha-la-la-ing on “4th Of July, Asbury Park: Sandy.” Those two influences on the Crows intrigue us because Mann’s cover of Springsteen’s “Blinded By The Light” gave Bruce his only Billboard Hot 100 #1 hit. Oh the roots and branches. Woven over, under and through the steam-piston rhythm guitar, Bryson’s lead interrupts like a polite but gifted child horning in on his mother’s tea party. It’s a great example of restrained, class-act playing. Steve Bowman does a yeoman’s job on drums, nothing fancy, but punching in with a solid A-minus performance. Burnett also plays guitar on “Mr. Jones.” The dense layers of sound that the careful listener hears on the song – and album – can be attributed to the meticulousness of T-Bone. We eagerly await the day when “Mr. Jones” will be available in a non-compressed format. The song’s compass points in many directions. Its musical roots draw from the deepest waters of the Rock-N-Roll river. Perhaps “Mr. Jones” is not top-100 material, but it deserves a snug spot in the top-500 Rock songs of all time. A song that blends all of the main elements of rock’s gaseous, swirling cloud: Blues, Folk, Jazz and Soul. Dale Hawkins: "Study the masters, man... Grab the roots and see how it evolved and know what's real." It doesn't get more real than this. The marching, determined beat informs us of the determination mustered in order to buck the Nashville establishment. Winehouse's vocals catapult “Rehab” into the heavens. She knew she was going down and wanted to be left alone. An appeal to human virtue, a sense of right and wrong – a quest for human rights on every level – render the song immortal. A hellishly insane scream, among the greatest, then Daltrey brings it back home to "Meet the new boss..."